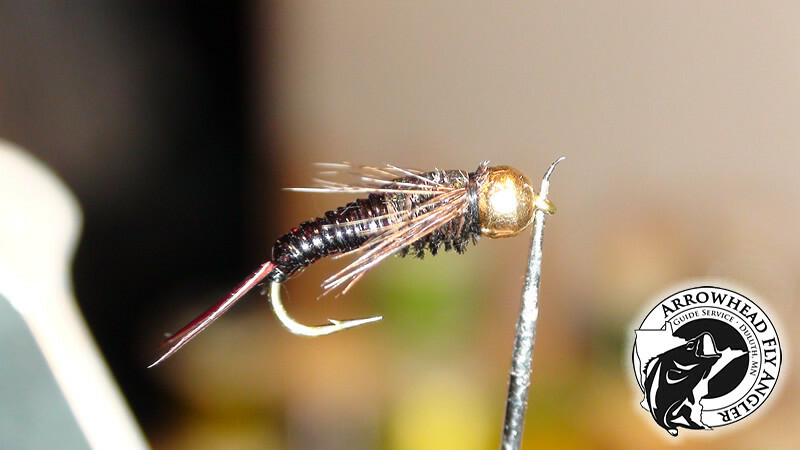 There is a bigger story to this fly, but it's named in honor of my good friend LD. 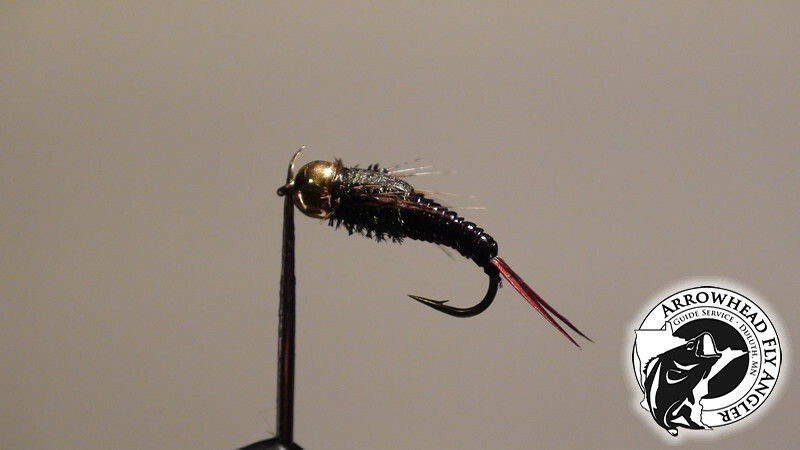 This is a great point fly on a 2 nymph rig setup. It sinks fast and has an excellent profile. Very effective nymphing technique for the faster water above a pool and shallow swifter runs between pools. 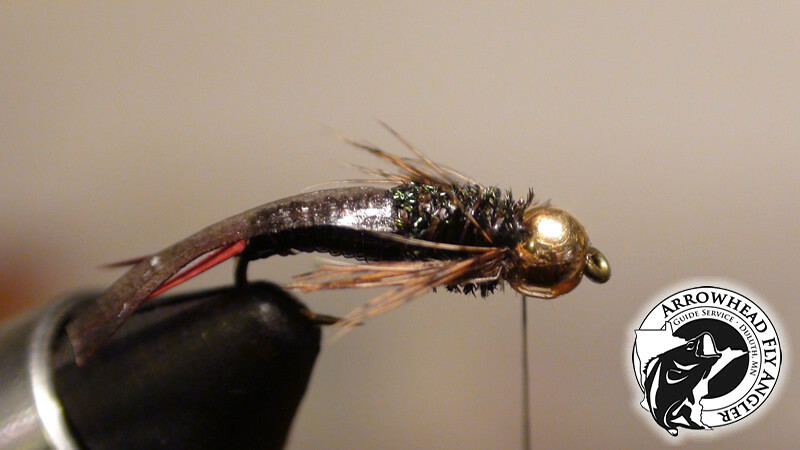 I've used it in trout streams of Minnesota, Wisconsin, Iowa as well as in Montana. Also makes a good fall pattern for Lake Superior steelhead. You can make a D-Lite version by leaving the lead out. Making a skinny version by not using lead or tungsten. Substitute plastic bead or no bead at all. 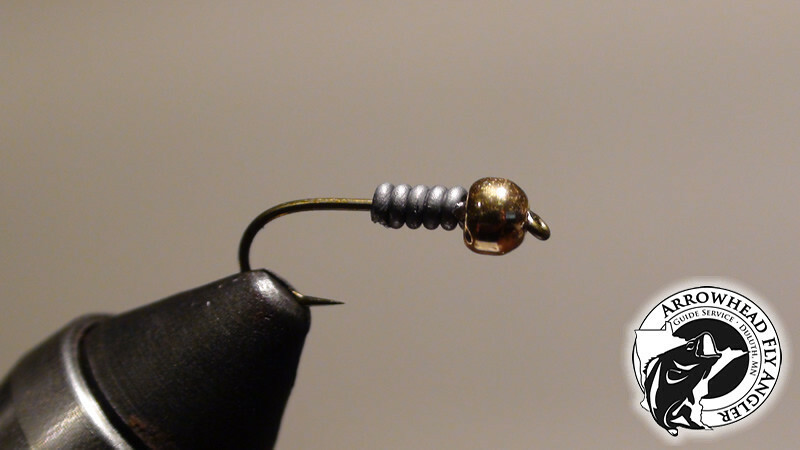 Slide Tungsten Bead, indent side facing hook bend. Wrap 5 wraps of lead and slide it firmly to the back of the bead. Start thread and secure lead and form the abdoman section forming a nice taper to the hook bend. 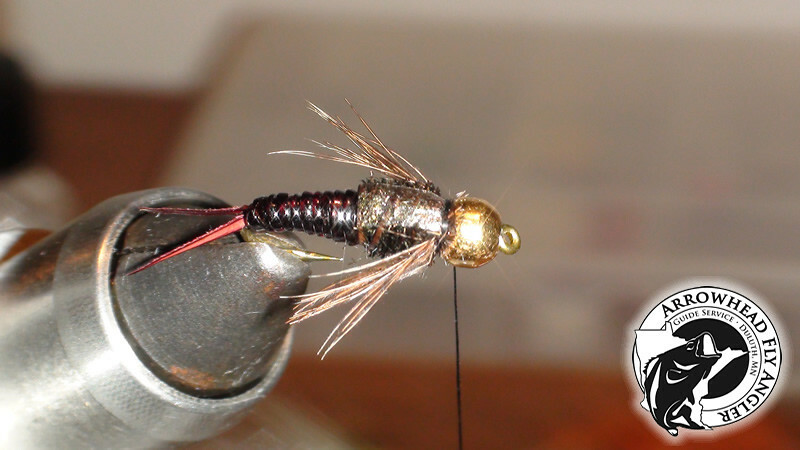 Tie 2 biots keeping them splayed. 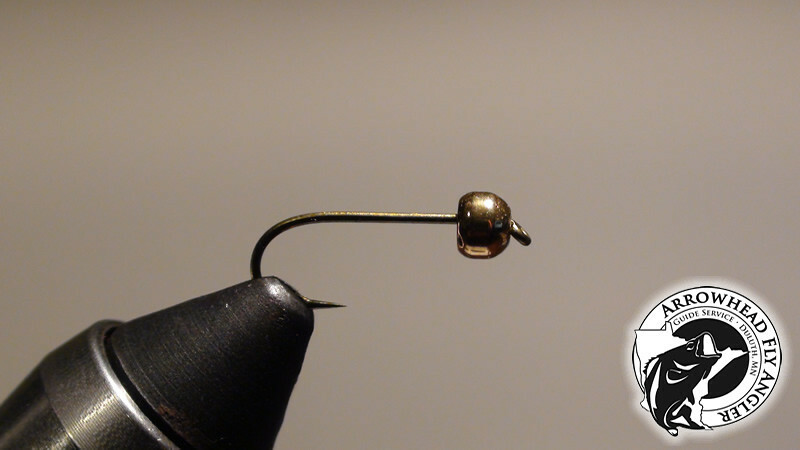 Hint, you can use your thread to form a small ridge at the hook bend, then as you tighten to thread, the ridge helps splay the biots. Trim the biot where the lead starts. 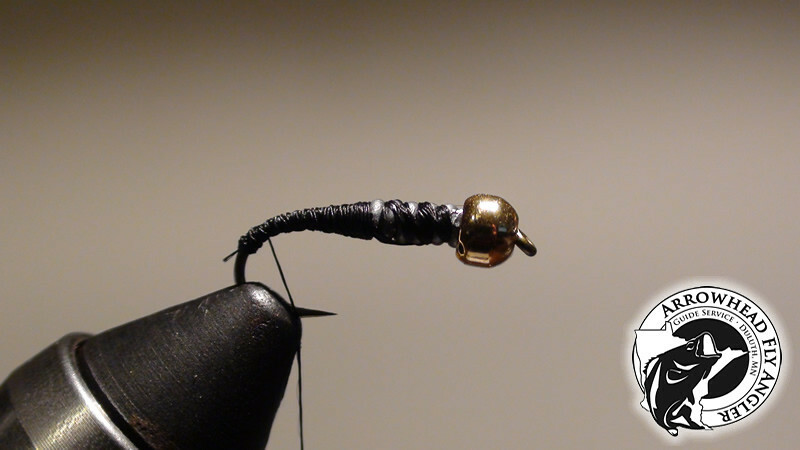 Tie in the vinyl tubing at the hook bend, move thread up to the lead. Going opposite of your wrapping direction, wrap the tubing to the start of the lead. Keep a good tension as you wrap the vinyl as it hugs the shap of the abdomen you created with the thread. Tie off. Tie in a small piece of scud back where you ended the vinyl and where the lead starts. I like to use grey, but clear will work as well. 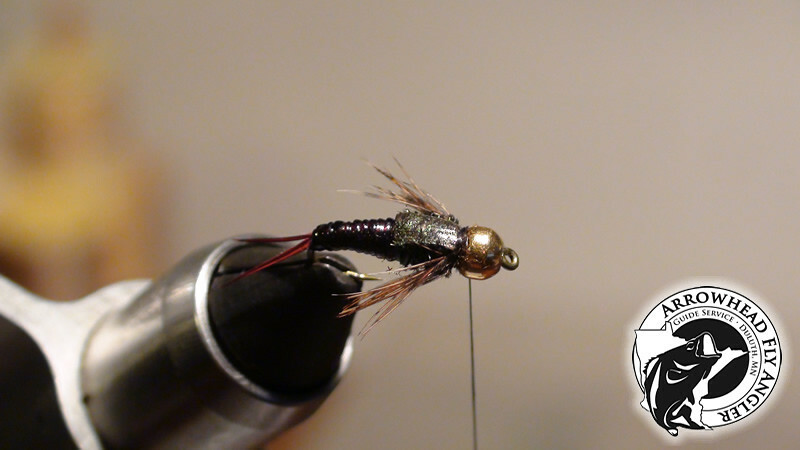 Tie in 3 strands of peacock herl. I don't wrap the herl around the thread and then wrap. 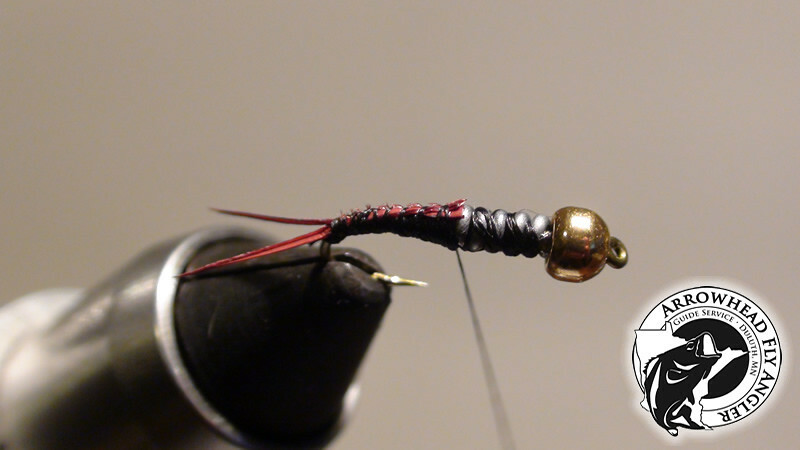 I like how the 3 strands will vary on the hook while you wrap them. Personal preferance. Tie off at the bead and trim. 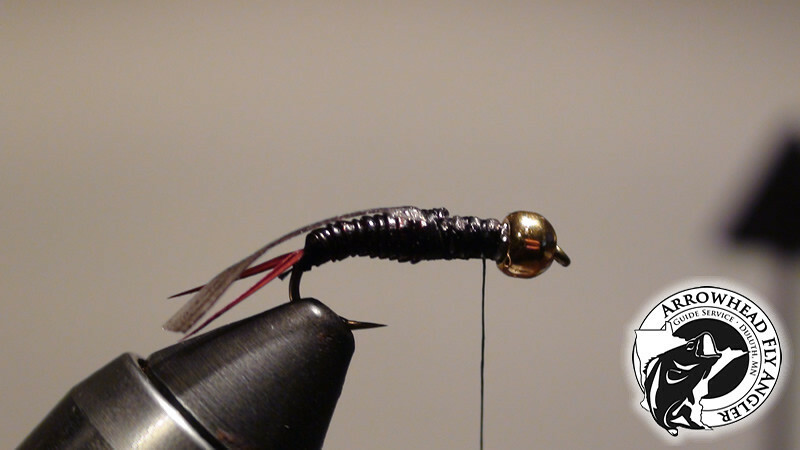 Tie in legs on both sides with the longest fibers not going past the hook point. I like to used ruffed grouse feathers since it's fairly easy to secure in N. Minnesota, but you can use any brownish colored feather for the legs. Trim and secure. Bring scud back over the top of the peacock herl top dead center as best as you can. Pull the scud back fairly tight, but not so you rip it off. Secure behind the bead head. Whip finish and trim thread. 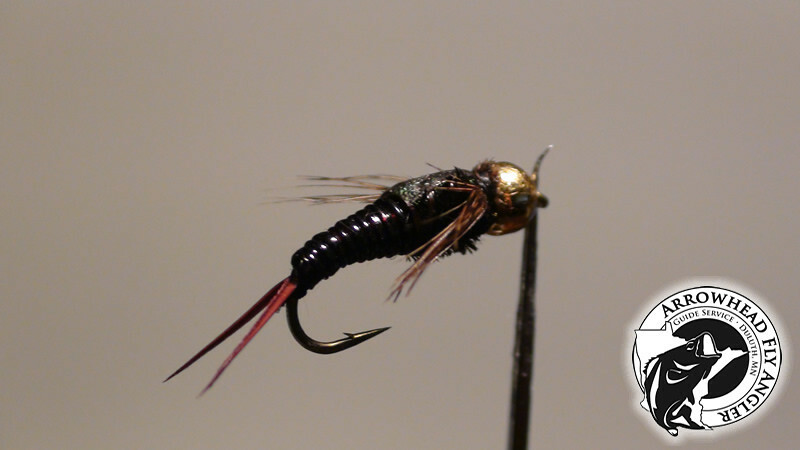 Notes: You can use epoxy on the scud back covering the thread behind the bead and overlapping a little into the abdomen, similiar to the Copper John. 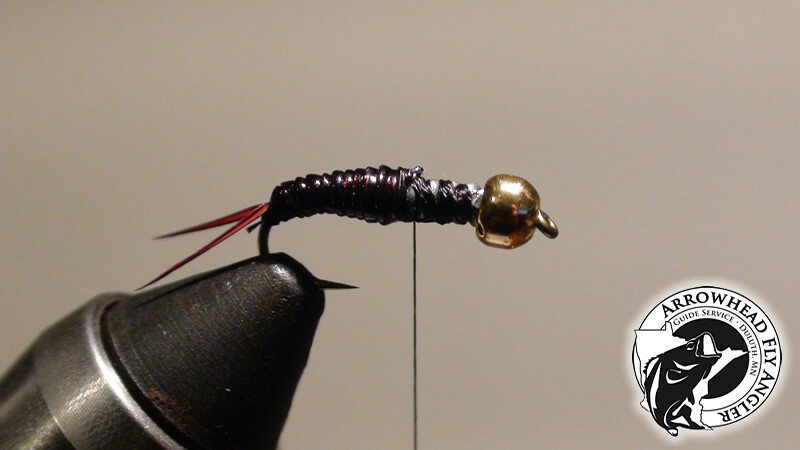 I like to use Sally Hard as nails using the applicator to put a good size drop on the scud back. Making sure it's covering the thread behind the bead and overlapping onto the vinyl tubing. It won't form a hard shell back like epoxy, but adds just enough hardness to the top of the fly and locks everything into place. Tight lines!